IATED publishes a range of publications contanining the proceedings of every conference it organises. 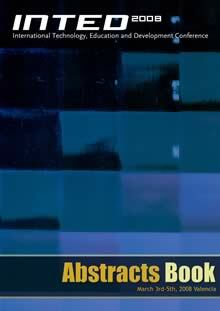 IATED publication ethics guidelines are available here. These publications can be used as a database document for research works, projects and innovation activities held on the international education field. They are publicly available and can be purchased at the online book shop. All IATED Proceedings are reviewed for their inclusion in the ISI Conference Proceedings Citation Index (ISI CPCI). Additionally, IATED has become a member of Crossref, a not-for-profit membership organization for scholarly publishing working to make content easy to find, link, cite and assess. Due to this partnership, from March 2016, each published paper in IATED Conferences Proceedings will be assigned a DOI number (Digital Object Identifiers) for its easy citation and indexation. This publication will include all accepted abstracts and papers for the INTED2019 conference. 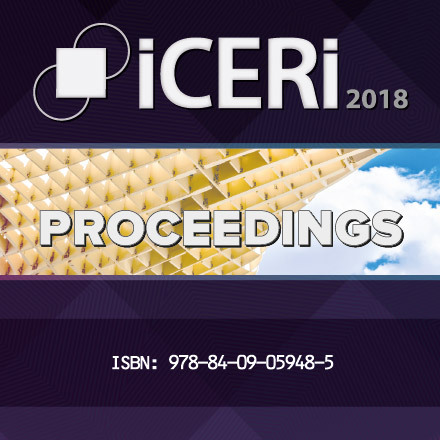 This publication includes all accepted abstracts and papers for the ICERI2018 conference. 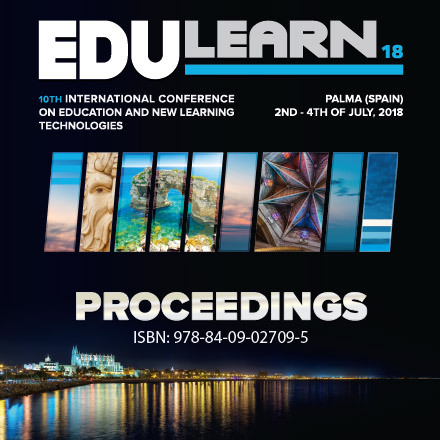 This publication includes all accepted abstracts and papers for the EDULEARN18 conference. 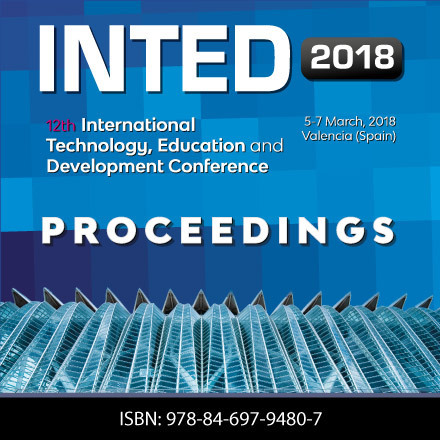 This publication includes all accepted abstracts and papers for the INTED2018 conference. 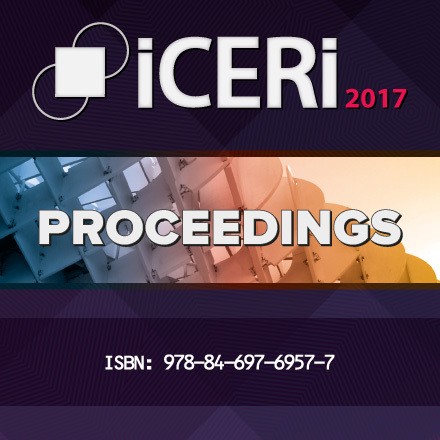 This publication includes all accepted abstracts and papers for the ICERI2017 conference. 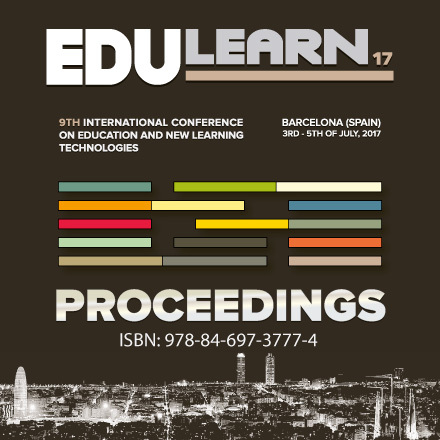 This includes all accepted abstracts and papers for the EDULEARN17 conference. 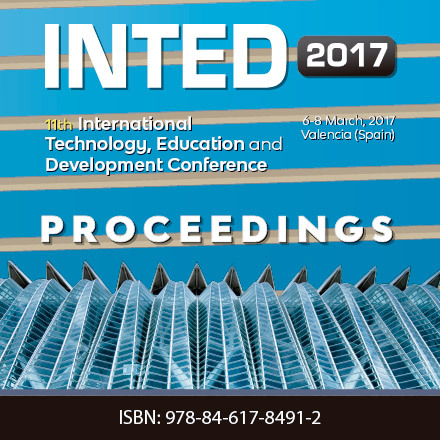 This publication includes all accepted abstracts and papers for the INTED2017 conference. 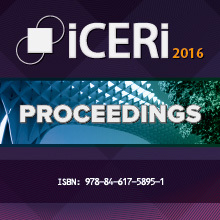 This publication includes all accepted abstracts and papers for the ICERI2016 conference. This publication includes all accepted abstracts and papers for the EDULEARN16 conference. 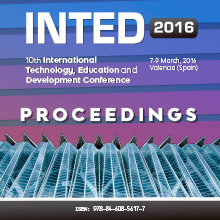 This publication includes all accepted abstracts and papers for the INTED2016 conference. 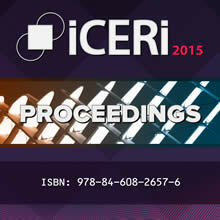 This publication includes all accepted abstracts and papers for the ICERI2015 conference. This publication includes all accepted abstracts and papers for the EDULEARN15 conference. 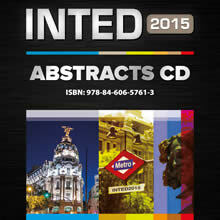 This CD includes all accepted abstracts for the INTED2015 conference. 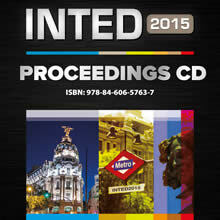 This CD includes all accepted papers for the INTED2015 conference. 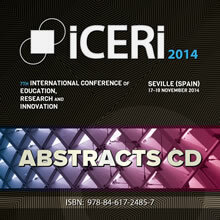 This CD includes all accepted abstracts for the ICERI2014 conference. This CD includes all accepted papers for the ICERI2014 conference. 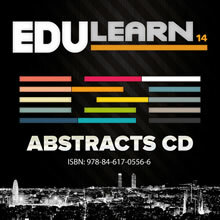 This CD includes all accepted abstracts for the EDULEARN14 conference. 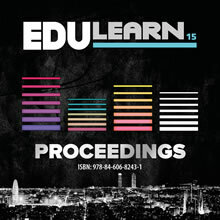 This CD includes all accepted papers for the EDULEARN14 conference. 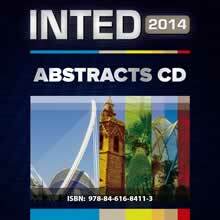 This CD includes all accepted abstracts for the INTED2014 conference. 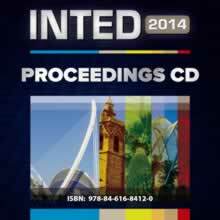 This CD includes all accepted papers for the INTED2014 conference. 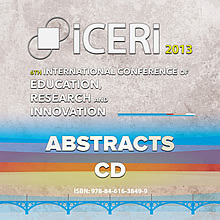 This CD includes all accepted abstracts for the ICERI2013 conference. 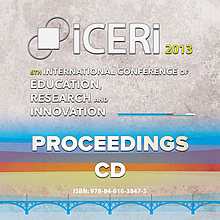 This CD includes all accepted papers for the ICERI2013 conference. 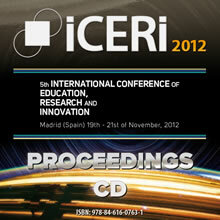 This CD includes all accepted abstracts for the EDULEARN13 conference. This CD includes all accepted papers for the EDULEARN13 conference. 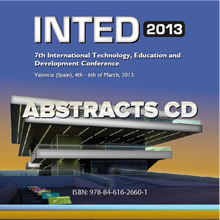 This CD includes all accepted abstracts at INTED2013 conference. 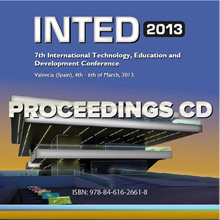 This CD includes all accepted papers at INTED2013 conference. 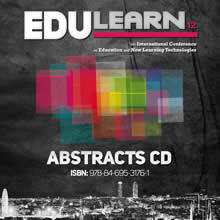 This CD includes all accepted abstracts at EDULEARN12 conference. This CD includes all accepted papers at EDULEARN12 conference. This CD includes all accepted abstracts at INTED2012 conference. 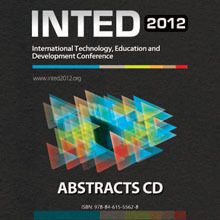 This CD includes all accepted papers at INTED2012 conference. 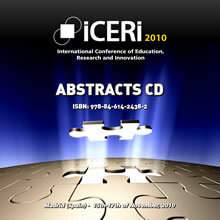 This CD includes all accepted abstracts at ICERI2011 conference. This CD includes all accepted papers at ICERI2011 conference. 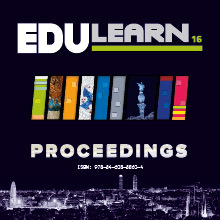 This CD includes all accepted abstracts at EDULEARN11 conference. This CD includes all accepted papers at EDULEARN11 conference. This CD includes all accepted abstracts at INTED2011 conference. This CD includes all accepted papers at INTED2011 conference. 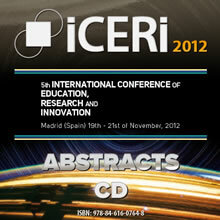 This CD includes all accepted abstracts at ICERI2010 conference. 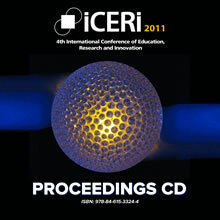 This CD includes all accepted papers at ICERI2010 conference. This CD includes all accepted abstracts at EDULEARN10 conference. This CD includes all accepted papers at EDULEARN10 conference. 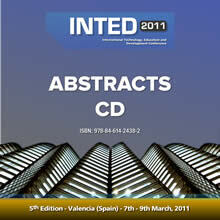 This CD includes all accepted abstracts at INTED2010 conference. 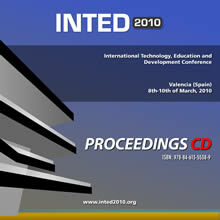 This CD includes all accepted papers at INTED2010 conference. 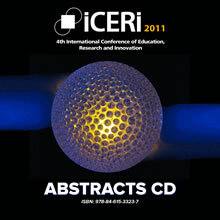 This CD includes all accepted abstracts at ICERI2009 conference. 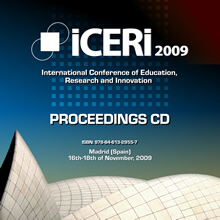 This CD includes all accepted papers at ICERI2009 conference. This CD includes all accepted abstracts at EDULEARN09 conference. 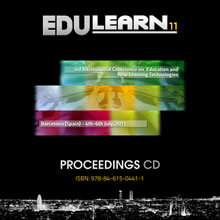 This CD includes all accepted papers at EDULEARN09 conference. 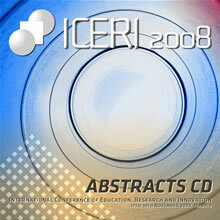 This CD includes all accepted abstracts at INTED2009 conference. This CD includes all accepted papers at INTED2009 conference. This CD includes all accepted abstracts at ICERI 2008 conference. This CD includes all accepted papers at ICERI2008 conference. 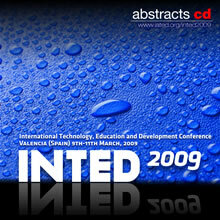 This publication includes all accepted abstracts at INTED2008 conference. 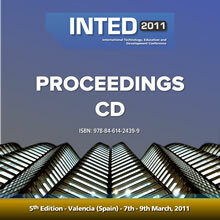 This CD Proceedings includes all accepted papers at INTED2008 conference. This publication includes all accepted abstracts at INTED2007 conference. 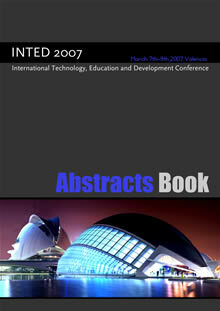 This CD Proceedings includes all accepted papers at INTED2007 conference.